Easy way to grab two co-op titles, RE6 and DR2, and more! Gamers who might have taken an extended break from good old Capcom titles will soon have a nice opportunity to play “catch up” with them. 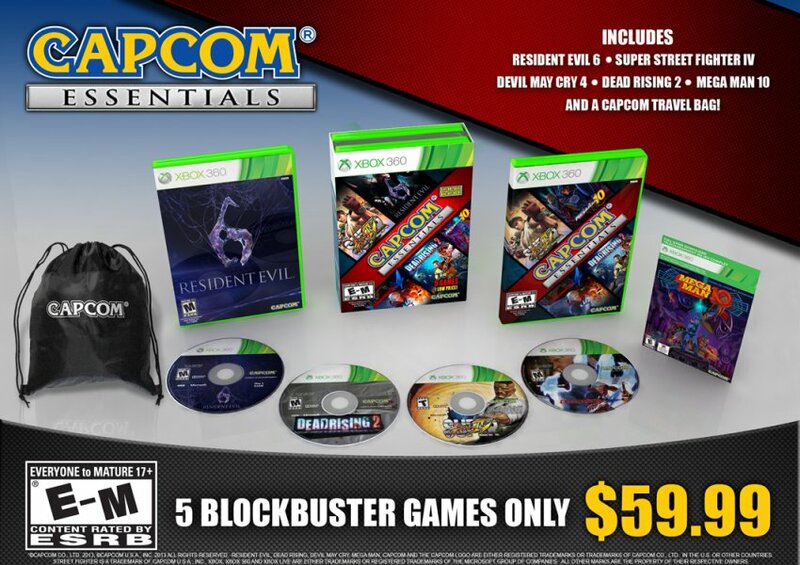 A sweet, new Capcom games bundle has been announced to arrive this October, titled as “Capcom Essentials”. Set to release this October 8th, the bundle will include a total of five of their (arguably) most popular IP’s in their current library: Resident Evil 6, Dead Rising 2, Devil May Cry 4, Super Street Fighter IV, and Megaman 10. Out of the entire bundle, however, the only two contain co-op modes are RE6 and DR2. Still, it’s quite the number of games for the price of a newly released title, $59.99. 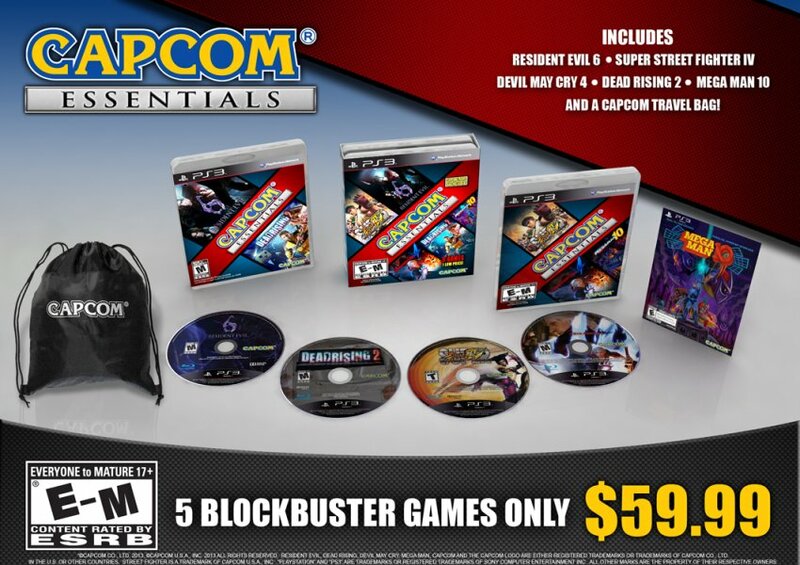 Not only do the games come in one, nice disc case (Megaman 10 is a downloadable title on PSN and XBLA), but a Capcom travel back will also be included with the bundle. The bundle will come in both PS3 and Xbox 360 versions as well. Keep in mind that these games will not include any DLC’s or additional content with them, and must be purchases separately. This fall might be a fantastic time to look into grabbing these games in one swoop. 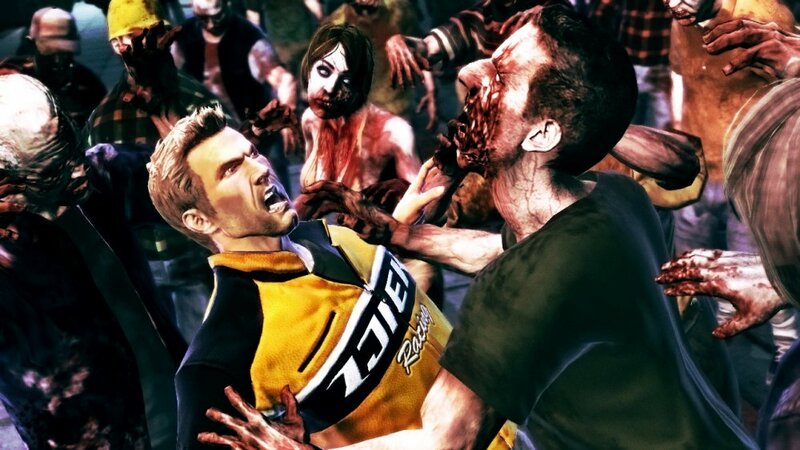 We do encourage those who are interested to read our reviews on both Resident Evil 6 and Dead Rising 2 for more information on their co-op modes. Page created in 0.4496 seconds.